I almost forgot that this was today! It’s a linkup hosted by the lovely Jenna over at Gold & Bloom. It’s a monthly linkup where bloggers post about how life is treating you. If you want to join in then head on over to Jenna’s blog. So how has life been treating me recently? Pretty good on the whole. As I’ve previously blogged about I’ve had my checkup with the consultant and after an initial worry over growth it was found that everything is a-ok! No worries here – other than having to actually get this baby out! It’s actually my last day of work today! I can almost taste freedom! Don’t get me wrong, I love work but this time around I’m struggling with chasing after a toddler and carrying another one. So I’m planning on being off until October and that’s when hubby will take over childcare duties for a couple of months! I’m pretty sure I mentioned our car last Coffee Date but I’m actually talking about hubby’s car this time around. Someone’s only gone and scuffed it! Which of course now needs repairing and will cost us a small fortune! Whoever scuffed it didn’t leave a note nor insurance details! Buggers!! Hubby is away this weekend at a Warhammer tournament – last one before baby 2 arrives! As I’m struggling with putting Little Miss to bed, Mam’s with me this evening and tomorrow to put her to bed with me – something I’m very grateful of! So this evening we’re planning on having a takeaway – likelihood is that we’ll end up at the chippy but I think I’d prefer a Chinese. I’m picking up Little Miss from childcare this evening so we’ll see what we can manage. Then tomorrow I’m meeting my friend for a catch up as I haven’t seen her since the beginning of the month – a lunch trip that was not very successful thanks to Little Miss’ vomiting bug! So here’s hoping we can have lunch tomorrow without the throw up! Next weekend I’m meeting up with a girl who has a little boy the same age as Little Miss. We’ve known each other for a while via Facebook and have met on two occasions but we’re meeting up again to take the kiddies to soft play area. I’m also bringing hubby along so he can chase after the kids whilst we women have a cup of tea in peace! I have to dash off now since my lunchbreak is over! Hope all is well with you guys! 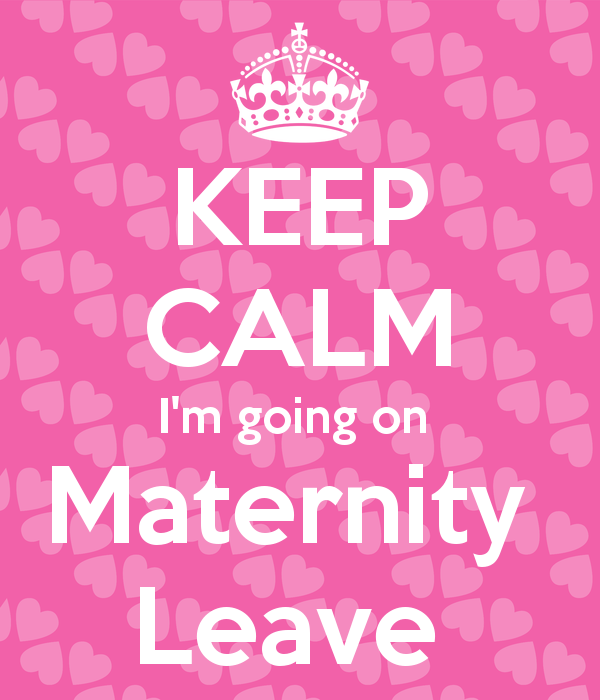 Happy maternity leave! I hope you’re able to relax and renew before baby arrives. 🙂 Enjoy time with family! Thanks so much for linking up again.